If your child or young person has a learning disability, make sure they are included on this register, so that they can get an annual health check from age 14 upwards. People with learning disabilities often have difficulty in recognising illness, communicating their needs and using health services. 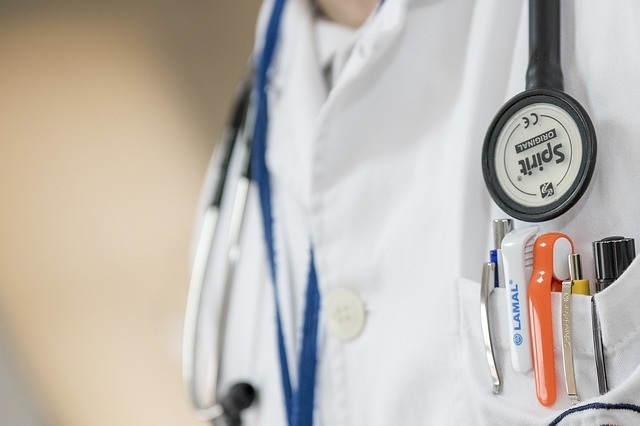 Regular health checks can detect treatable illnesses and help prevent more serious ones, as well as familiarising the young person with the GP practice which they may use throughout their adult life. There are over one million people of all ages in England who have a learning disability but only 200,000 of these currently appear on GP registers. Want to join the register? Ask at your GP surgery. 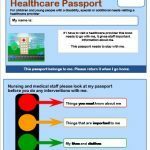 If you are taking a child or young person with additional needs or disabilities to a health care appointment, a customised “passport” can be a huge help. The passport contains important information about your child such as communication needs, support needs, medication, their likes and dislikes. The aim is make the visit to Addenbrooke’s smoother and easier for both the child and parents. View our passports page for templates you can print and customise for your child. There are child and adult versions. The NHS employs huge number of staff in thousands of locations. It is a large and complex organisation providing a broad range of services. It is not surprising that sometimes you or a loved one may feel bewildered or concerned when using the NHS. And this can be at times when you are feeling at your most vulnerable and anxious. The Patient Advice and Liaison Service, known as PALS, listens to patients, their relatives, carers and friends, and aims to answer questions and resolve concerns as quickly as possible. How accessible are Cambridgeshire’s main hospitals? disabledGO has online guides to the three big hospitals, with sections on main entrances, wards, departments and clinics as well as car parks, loos and cafes. If you are planning a visit, you can head to the disabledGO website and find out about more, including level access, accessible changing rooms, hearing systems and sign language. Pinpoint works closely with Healthwatch Cambridgeshire – a network made up of individuals, community groups and organisations working together to improve health and social care services. They listen to what local people like and dislike about local services and then feed back to health and social care providers, helping them to plan and deliver better services that reflect what people want. Nursing Nurture is an independent health visiting and breastfeeding support service based in Ely and covering Cambridgeshire. Sarah Oakley independent health visitor and lactation consultant, visits clients in their own homes as well as offering support in groups and clinics. Read more on the Sarah Oakley Lactation website.